MOSCOW, October 8. /TASS/. Air defense systems S-300 will impede Israeli Air Force flights, including reconnaissance ones, over Syria. 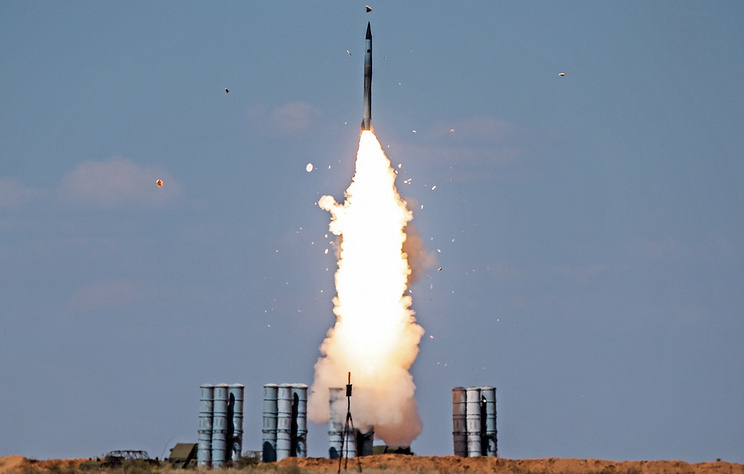 Although Tel-Aviv earlier said it would not give up its operations, the S-300 factor puts pressure on the Israeli leadership, the chief of the Bureau of Military-Political Analysis, Alexander Mikhailov, told TASS on Monday. Earlier, Israeli Defense Minister Avigdor Lieberman said Israel would not give up its operations in Syria in defiance of the supply of Russia’s S-300 systems to that country. "When Russia’s S-300s are turned on over Syrian-Israeli points of engagement, the Israeli pilots know they are on Russian radars. Naturally, they report this to their superiors and this puts pressure on the Israeli leadership," Mikhailov said. "The Israeli leadership’s position has been determined - Israel wants to go ahead with unhampered flights over Syria’s border areas and press for its decisions regarding the presence of Iranian forces there, which under our agreements with Israel are now leaving these territories," Mikhailov said. "We would like to believe that if Israel and the Israeli Defense Ministry hold consultations with the Russian group in Syria over all activities, no conflicts will ever emerge. I believe that the Israeli leadership will display common sense not to repeat such incidents and to stay out of the areas where our systems are turned on," Mikhailov said. "We should conduct a mutually beneficial dialogue with Israel and address it with fresh reminders that combat operations are in progress away from the Russian borders, but near the Israeli ones, so it would make no sense to aggravate the already complicated situation… One would like to believe that the Israeli Defense Ministry will refrain from provoking the Syrian air defense into hitting Israeli aircraft," he added. Russian Defense Minister Sergei Shoigu on September 24 said that the loss of the Ilyushin-20 in Syria due to the Israeli air pilots’ actions forced Moscow to take extra security measures. 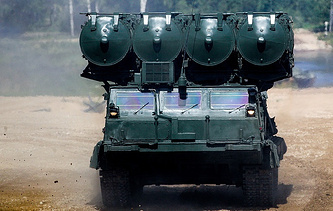 Russia’s air defense systems S-300 will be deployed in Syria within two weeks, the command posts of Syria’s air defense will be equipped with automatic Russian systems capable of identifying Russian planes and Russian means of radio-electronic warfare will pose obstructions to air strikes against targets in Syria.